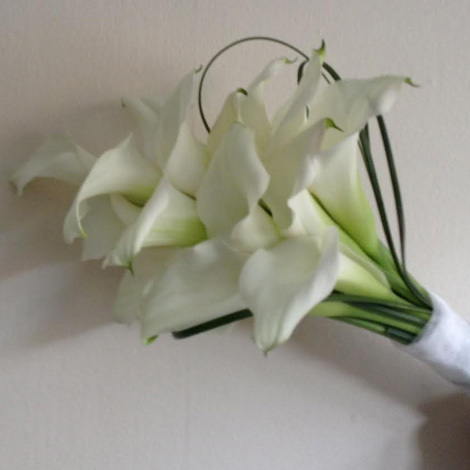 Flowers by Isabel, based in Blantyre, South Lanarkshire, has been providing quality Wedding Floral Arrangements, Bridal Ties, Button Holes and various other wedding floral and room accessories and services for over ten years. 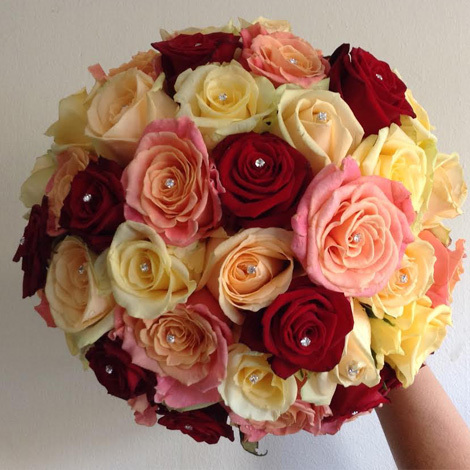 Our highly skilled team of florists take pride in providing stunning flowers for any wedding day. 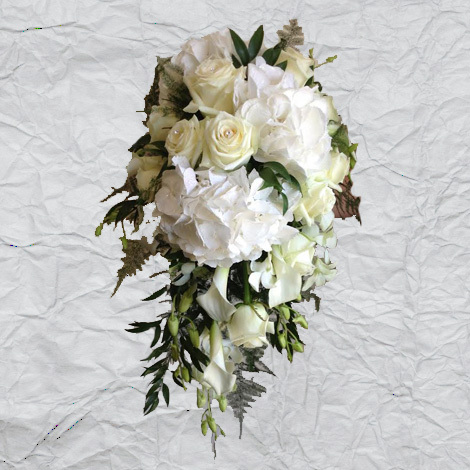 Our extensive and value for money range of tasteful bouquets, floral arrangements, hand ties and wedding venue accessories are perfect for any wedding or engagement occasion. If you have any special design requirements or requests, please get in touch and we’ll do our very best to accommodate your requirements. One of the most elegant floral designs that you will ever see, the ‘Touch of Elegance’ is composed of white hydrangeas, crystal blush calla lillies,dolomiti roses & white dendrobium roses, and finished off with asparagus fern and soft ruscus foliage for that elegant touch. A cluster of various coloured roses such as, Avalanche, Passion, La Creme and Vandella with diamond pins in each bloom for a spectacular finish. 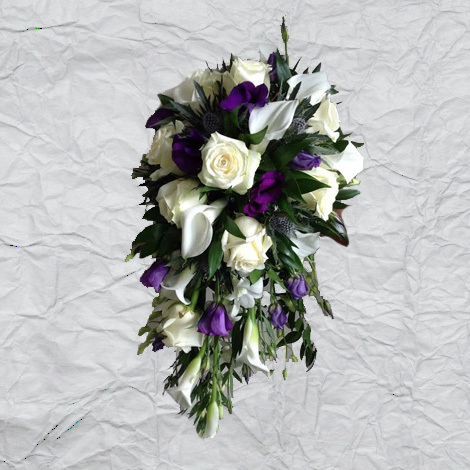 A traditional Scottish favourite, it is the thistles combined with colours from the purple lisianthus, crystal blush calla roses, dolomiti roses, soft ruscus and dendrobium orchids that makes this a most loved special. Buy online today for same day delivery in the surrounding Lanarkshire area. 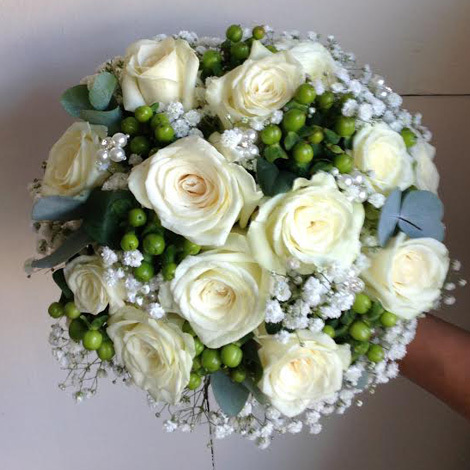 This cute little bouquet made up from dolomiti roses, gyp, green hypericum and finished with eucalyptus creates a “Timeless” classic. This beautiful sheaf with crystal blush calla lilies and bear grass really does help add the finishing touches to a beautiful and elegant day. 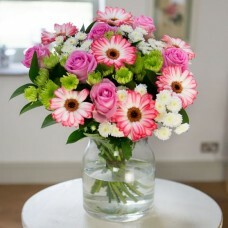 Delicious bouquet including gorgeous pink roses, pink edged gerberas and dainty white daisies complete with vibrant yellow centres. The Christmas Gift Hamper my husband bought me last year was stunning. That’s on my list this year for sure.